My journey into the world of media and special education started over a decade ago when I became the parent of a child with a disability. Like many parents before me, I found the road to diagnosis, treatment, and education particularly difficult. Accessing resources and executing the many facets of treatments became necessarily consuming. After working as an advocate for my own child and volunteering in various capacities throughout the St. Louis disability community, I began working at Missouri’s Parent and Training Information Center, MPACT, funded, in part, by the Department of Elementary and Secondary Education and mandated by IDEA. While this part of my life was extremely fulfilling, it can be very difficult to live so entrenched in the world of disability 24/7. Returning to my art education from the Art Institute, I rekindled my passion for the arts and opened my business as a professional photographer, attempting to balance both of my passions simultaneously. Being a photographer provided me with the opportunity to contribute to vibrant participatory media cultures while honing my business, marketing, and social media skills as a small business owner. For many years I lived a double life serving as a professional photographer and business owner specializing in weddings and portraits, while simultaneously acting as a special education advocate and activist for not only my child, but for many families around the St. Louis region. As the world of professional photography became more digitized, the opportunities and pitfalls of this new digital media became painfully obvious. Technical photography skills were often replaced by digital post-processing skills, and what was once a profession dedicated to documenting the livelihoods of individuals and families for posterity became a race to manipulate and construct an altered personal reality. Family photos began to resemble editorial shoots while weddings became more about providing a falsely constructed “photojournalistic” style that was then carefully reconstructed in post-processing at the request of brides and grooms eager to show off their perfectly orchestrated wedding day. Dismayed by the direction of my once beloved profession, I began to re-evaluate how I could meld my two passions into one cohesive world. After returning to continue my education at Arizona State University’s Walter Cronkite School of Journalism in the Mass Communication and Media Studies program, I began to realize how closely my two worlds were actually intertwined. 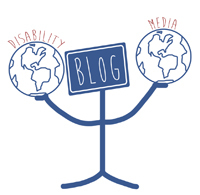 As discussions of media literacy began to take shape in each of my classes, I noticed many of the concepts being applied to class, race, gender, and sexuality mimicked those issues I had seen throughout my experience with the disability community, but disabilities were rarely, if ever, part of the conversation. Upon this realization, my work in each of my classes began to focus on the role of disabilities in media and how disability fits into media literacy education. In 2014, after writing an article about the need for media literacy education in K-12 education for the ASU State Press, I was contacted by the National Association for Medial Literacy Education (NAMLE). Within a few months, I was invited to sit on the Student Leadership Council and took over the position of Editor of the NAMLE Monthly Update, curating media literacy content which is distributed to over 2,000 individuals and organizations around the world. During my time at ASU, I began to pursue various media literacy activities. In 2015 I became the President of the Missouri Chapter of Media Literacy Now, promoting legislation requiring K-12 media literacy education in the state of Missouri, I have spoken several conferences including the 2015 NAMLE Conference, the NCA 101st Convention in Las Vegas, NV, and the GMLP Partner Showcase in St. Louis, Missouri, and am currently working on an existing literature review of media and research on the intersection of gender, sexuality, and disability. I feel very strongly that media has shaped the way in which we view people and students with disabilities, and media has the power to promote inclusive learning environments in all educational settings. Through this journey, I have begun to more clearly understand the power media and technology have to promote feelings of inclusion and accessible learning environments. As the spouse of a self-proclaimed “techno supergeek,” I have come to value and respect the power of technology. It is my belief that through positive media representations of people with disabilities and improved educational technology to allow for better access to learning in all educational environments, we can greatly improve our inclusion of learners of all abilities in the general education setting. As a media critic, I created DonnellProbst.Com as a place to discuss how media can better represent disability. In my opinion, this is the first step in the process of inclusion for all learners. I hope DonnellProbst.Com can contribute to this movement positively by promoting critical analysis of the media which we consume.